48" WIDE CUT, SELF PROPELLED, WALK BEHIND AND GAS POWERED. THIS IS A FINISH MOWER AND IS DESIGNED TO CUT A YARD. IT IS NOT DESIGNED TO CUT KNEE HIGH GRASS OR A FIELD WITH WEEDS AND BRUSH. CAN BE LOADED INTO THE BACK OF A PICKUP TRUCK WITH THE HELP OF SOME RAMPS. WE COULD ALSO PROVIDE A TRAILER FOR IT TO GO ON. 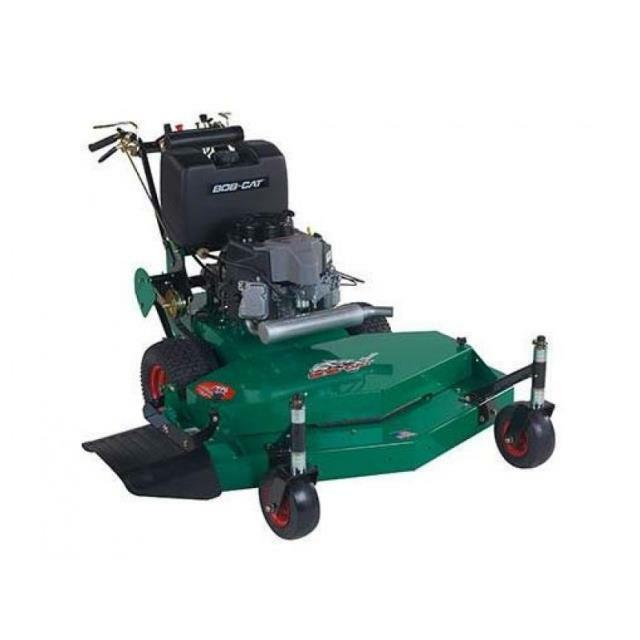 * Please call us with any questions about our bob cat mower 48 inch deck rentals in Flemington NJ, Somerville, Flagtown, Frenchtown and Western New Jersey.